(Reuters) - A 13-year-old girl's escape from a rural home, where she was held captive for three months by a 21-year-old Wisconsin man charged with murdering her parents, helped break the case and she should be treated as a hero, the local sheriff said on Friday. 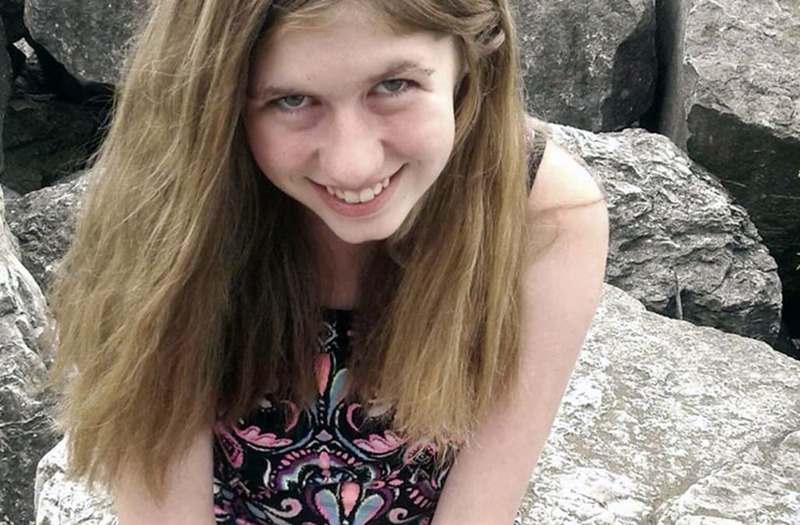 Thousands of volunteers and hundreds of law enforcement officers had searched around the clock around the small town of Barron after Jayme Closs' parents were found shot dead in their home, the front door open and the girl gone. Relying on what Barron County Sheriff Chris Fitzgerald called "the will of a kid to survive," a disheveled Closs escaped a house in the tiny town of Gordon where she had been held captive, about 60 miles north of Barron. She was found by a woman walking her dog on Thursday afternoon. "Jayme is the hero in this case. She's the one who helped us break this case," Fitzgerald told reporters on Friday. Both the woman and the neighbor recognized the teen immediately on Thursday due to the enormous public campaign following her disappearance, Fitzgerald said. Less than 15 minutes later, Jake Patterson, 21, was in custody after police pulled over his vehicle, based on Closs' description. "The suspect was out looking for her when law enforcement made contact with him," Fitzgerald told a news conference, adding police were not seeking any other suspects in the case at this time. Patterson, an unemployed resident of Gordon, was charged on Friday with kidnapping and with murdering James and Denise Closs with a shotgun. Their bodies were discovered on Oct. 15. "The suspect had specific intentions to kidnap Jayme and went to great lengths to prepare to take her," said Fitzgerald. Patterson was being held in the Barron County jail, and it was not yet clear whether he had a lawyer. He faces an initial court hearing on Monday. The search stretched across cornfields and wooded areas and drew 1,500 volunteers -- nearly half as many people as the entire 3,400-person population of Barron, which sits about 90 miles (145 km) northeast of Minneapolis. Hundreds of locals had attended a Christmas tree-lighting ceremony at Riverview Middle School, which Closs attended, in her honour last month. The "tree of hope" was decorated with messages and lighted in blue, Closs' favourite colour, and green to symbolize missing child awareness, the Star Tribune reported. "I just cried ... lots of happy tears," Jen Smith, the girl's aunt, told ABC's "Good Morning America" programme. Attempts to reach Patterson's relatives and neighbours on Friday were unsuccessful. "We are still mourning the loss of longtime Jennie-O family members Jim and Denise, but our entire team is celebrating with the community, and the world, that Jayme has been found," Lykken said. The superintendent of the local school district, Jean Serum, said Patterson was a nice kid who was a member of his high school's quiz bowl team. He graduated in 2015. Elizabeth Smart, who was held captive for nine months as a teenager after her 2002 abduction in Utah, posted a photo of Closs on Instagram, praising the "miracle" that she had been found. "No matter what may unfold in her story let's all try to remember that this young woman has SURVIVED and whatever other details may surface the most important will still remain that she is alive," Smart wrote.